Also known as the Ford F-Series Super Duty or just Ford Super Duty, the Ford F-250 is part of Ford’s heavy-duty pickup line designed to handle the toughest of tasks and provide the peak level of power. Ever since the F-Series Super Duty trucks were introduced in 1998, they have been among the defining heavy-duty pickups on the road, commanding attention wherever they go and giving truck drivers more performance, sophistication, and control with each passing year. The 2019 Ford F-250 is no exception and can handle any task you throw at it, with plenty of options for technological features and safety. Like any other heavy duty truck, the Ford F-250 is all about power, and there are several different engines to choose from depending on just how much performance you need from your truck. Available in numerous different model and trim levels, the 2019 Ford F-250 lets you choose just how much luxury you need – with plenty of different available options that become standard as you move up to more impressive models. Owning a 2019 Ford F-250 in Cincinnati and the surrounding area means you need more than just impressive power, however, you need rugged performance and the ability to handle anything the weather throws at you all year round. That is why the F-250 is available as either a two-wheel or four-wheel drive, with different cab sizes and box sizes to choose from, so you can get exactly what you need from your truck. And don’t worry, there are also plenty of safety features to make sure you and your passengers stay safe no matter how rough the road gets. When you’re looking at a Super Duty pickup like the 2019 Ford F-250 you want to see some serious muscle packed under the hood. Just as you would expect, Ford has some very impressive engines available for the F-250, without any restrictions based on the model or trim you are interested in. While there are only two engines available, these two options should be more than enough for just about any truck owner – and no matter what task you plan on throwing at your F-250, it should be able to handle it. 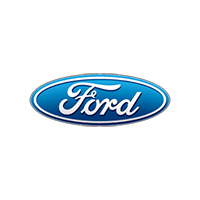 The standard engine in the 2019 Ford F-250 is a 6.2L SOHC 2-valve Flex Fuel V8 engine that provides up to 385hp and 430 lb.-ft. of torque. This is a very powerful engine with some of the best torque you’ll find in a standard gasoline engine, which is perfect for getting going while hauling a heavy load of pushing up a hill. There is also an optional CNG/Propane package that lets you use Compressed Natural Gas and Propane with the Ford F-250. You can select this package without changing the engine you prefer, which is ideal if this level of horsepower and torque is exactly what you need. 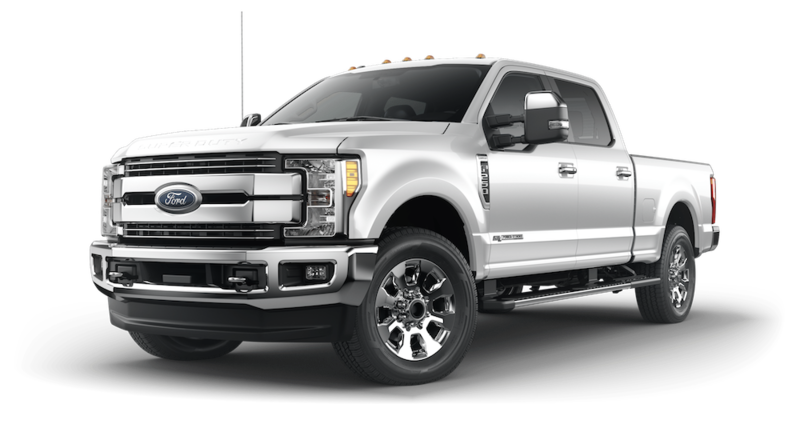 Of course, if you need more power, then you can upgrade to the incredible 6.7L Power Stroke V8 Turbo Diesel engine that provides up to 450hp and an immense 935 lb.-ft. of torque. You can see this is more horsepower than the standard engine, but the incredible level of torque is what really sets this beast apart. No matter how heavy the load you’re pulling or how steep the incline you are climbing, this engine will be up to the task and get you where you need to be. If you’re looking for a 2019 Ford F-250 to be a workhorse in Cincinnati in the sunshine, rain, or snow and ice, this engine will deliver on what you need. If you want a Super Duty truck, then you’re probably interested in towing a trailer or camper or loading up the box with building materials or camping supplies. That’s why the impressive towing capacity and maximum payload of the 2019 Ford F-250 are so important. Keep in mind that while these numbers are accurate for any model or trim level, you may need optional packages to ensure you can reach this level of towing power. This is especially important if you plan on hauling a trailer or camper behind you on the road – and your engine is also going to play a role in how well you can tow a heavy load. The maximum conventional towing for the 2019 Ford F-250, when properly equipped and set up, is 18,000 lbs. If you are more interested in how much you can load into the box of your truck, rather than towing, then consider this: the F-250 has an impressive maximum payload of 4,270 lbs. So whether you are planning on hauling a trailer behind you, or just piling stuff up in the box, the F-250 can handle pretty much any task. If you need to haul around thousands more pounds of materials or supplies, however, then take a look at the F-350 or F-450 for even more power and towing performance. The available configurations on the 2019 Ford F-250 are also excellent since you can choose a regular cab, super cab, or crew cab – and pair that cab with either a standard or long box length. The Ford F-250 is available as either a 4x2 or 4x4, which is perfect for the Cincinnati area since the four-wheel drive can give you better traction when dealing with ice and snow. Don’t blame us if the power and performance of the 2019 Ford F-250 earn you a reputation among your neighbors as a hero for helping them in the morning when their sedan or compact has been snowed in. Depending on the model and trim level you look at, a lot of options become available or even become standard with additional features opened up to you. For example, the 2019 Ford F-250 XL, which is the starter model, has a vinyl interior with cloth available, and available cloth split bench seats. You can choose additional features like 110-volt outlets for charging devices, an integrated trailer brake controller, FordPass Connect app connectivity, and an available CD/MP3 player. On the other hand, if you look at something like the high-end 2019 Ford F-250 Platinum and the features it includes, you can see many more options and included details. For example, the Platinum comes with leather-trimmed seats, with two different colors available, and included a 110-volt outlet. The Platinum includes FordPass Connect app functionality, heated rear seats, and features like cruise control and electronic shift on the fly between 2WD or 4WD as standard. The available integrated trailer brake controller for optimal control while towing is included with the F-250 Platinum, and there is an available trailer tow camera system so you can more easily keep an eye on your cargo and increase your visibility while backing up. The 2019 Ford F-250 Platinum also includes a Bang & Olufsen 3D Premium sound system that uses 10 speakers to create an immersive audio experience, along with an Infotainment console that includes voice-activated navigation. Safety is important in any truck, whether you want a Super Duty workhorse to haul lumber all day or need a 2019 Ford F-250 to take your camper out on the weekend with your family. All the towing power and interior comforts in the world are meaningless if you and your loved ones or co-workers aren’t safe while in your truck. Fortunately, Ford has packed the F-250 with a number of great included and available safety features. Standard safety features include numerous airbags for everyone in the cab and stability controls to help prevent rollover accidents and improve maneuverability in an emergency. A rearview camera improves driver visibility behind the truck, while tire pressure monitoring can increase safety by ensuring you always have the best control possible over your vehicle. There are also a number of additional safety options available, some of which become standard with certain models and trim choices. For example, there is a Blind Spot Information System with cross-traffic alert included with the Ford F-250 Platinum, which helps you watch out for vehicles when changing lanes or backing up. This system can even work with an available towing package to make it easier to make sure your towing cargo is not drifting dangerously. A reverse sensing system can detect objects you might not be able to see as a driver while backing up, to help prevent collisions or striking pedestrians. When it comes to unbeatable performance and strength, the Ford Super Duty trucks certainly live up to their name and reputation, and the new Ford F-250 is no exception. 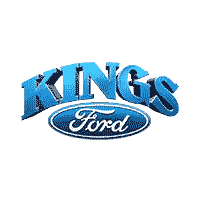 At Kings Ford, we understand what you’re looking for when it comes to a 2019 Ford F-250 in Cincinnati because we’re right here in Cincinnati and our customers are our friends and neighbors. We’re not interested in pushing you into something you don’t need – instead, we want to build a long-term relationship with every customer and make sure you drive away with exactly the right truck for what you’re looking for. Come on over to Kings Ford, see just how much power and sophistication Ford has packed into the F-250, and drive away in one of the most impressive trucks on the road.